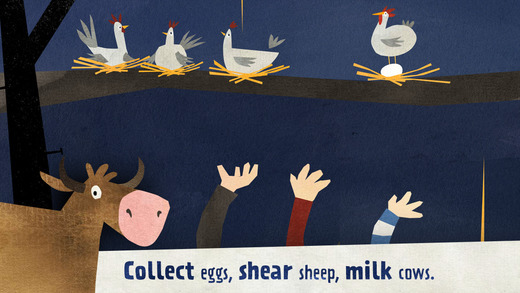 FREE for a limited time – Fiete – A Day on a Farm, a cute educational app for preschoolers. Kids help Fiete and friends collect eggs, harvest carrots, clean pigs, pick apples, shear sheep, milk cows, and more. The app is completely intuitive making it suitable for young kids of any language. The farm scenes are sequenced from morning through evening. Each scene features cute animals, great animations and fun background sounds. Nicely done!